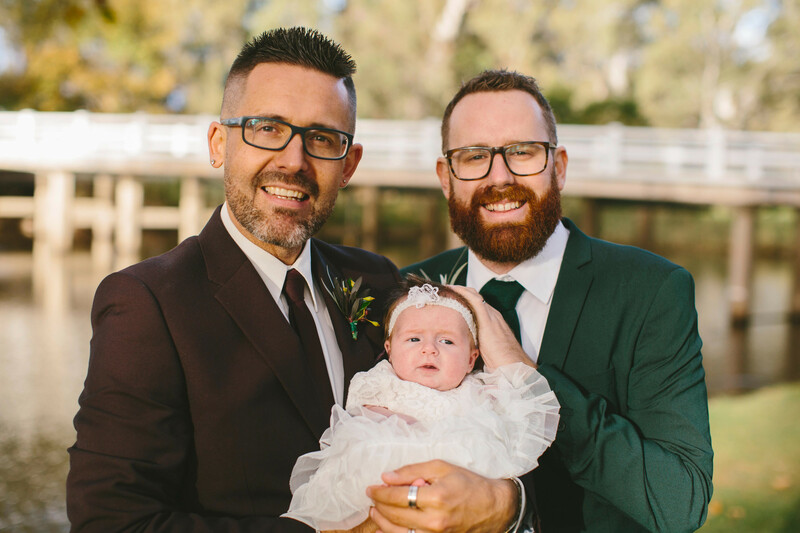 Ten years after meeting online and four months after marriage equality became law in Australia, Cristopher Todd and Damien Stevens exchanged wedding vows in front of family and friends – including the most important person in their lives, their four-week-old daughter Fletcher. 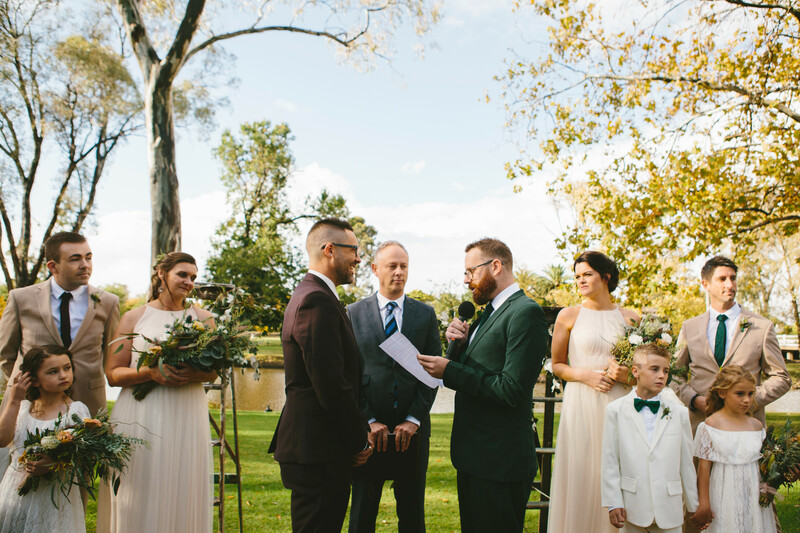 Rain threatened their outdoor ceremony, on the banks of Seven Creeks in Euroa, but after a short delay, the sun broke through and they read their personal vows, which featured the perfect blend of emotion and humour. 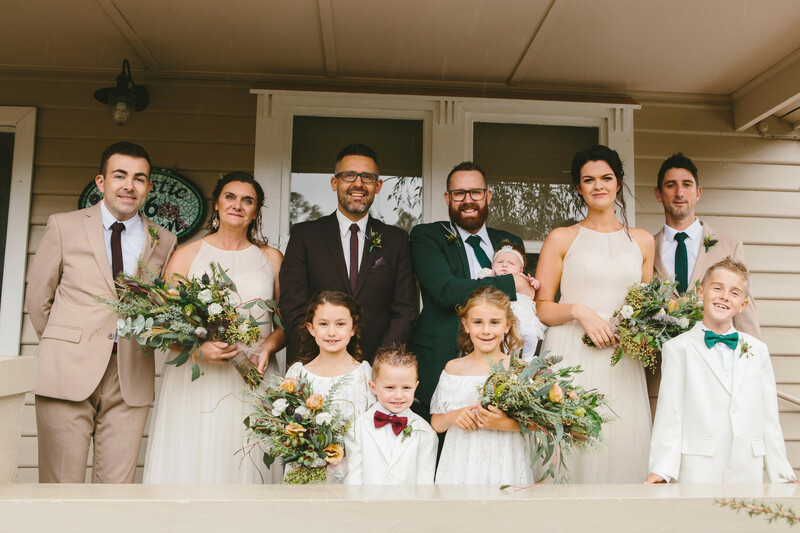 Cristopher said their marriage was almost a decade in the making, having proposed to one another on a Melbourne weekend getaway about nine years ago. 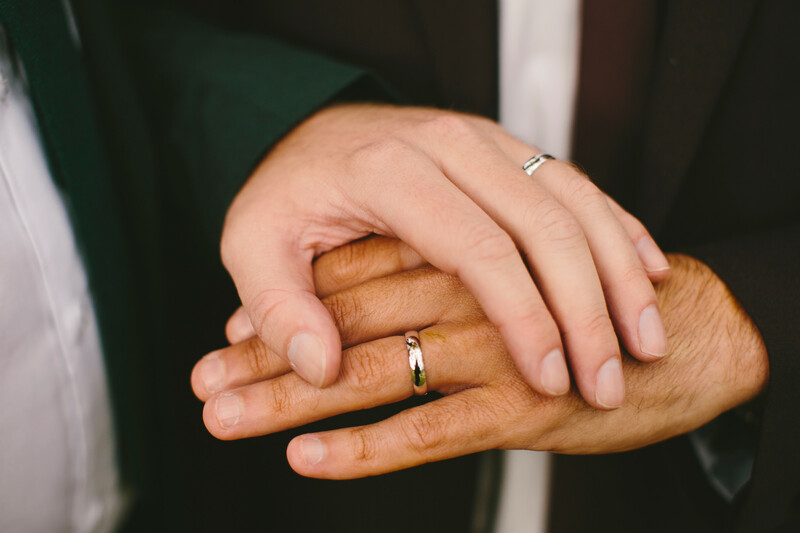 They were so in tune with each other, they had secretly each bought a ring for the other and chose the same weekend, on their one-year anniversary, to cement their lifelong commitment. 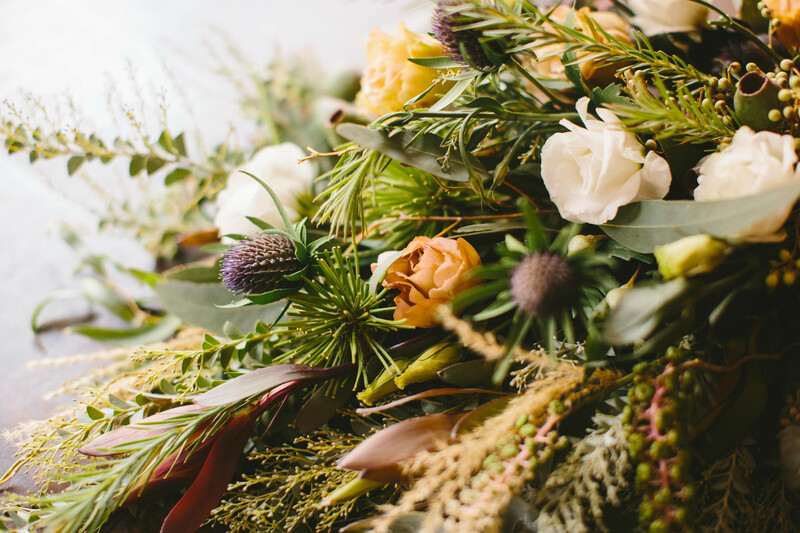 “Damien was adamant he didn’t want to get married until it was law, but I knew planning a wedding takes a long time so I started organising things in early 2017. By July I was in full swing and all the bookings were made for April 14, 2018,” Cristopher said. 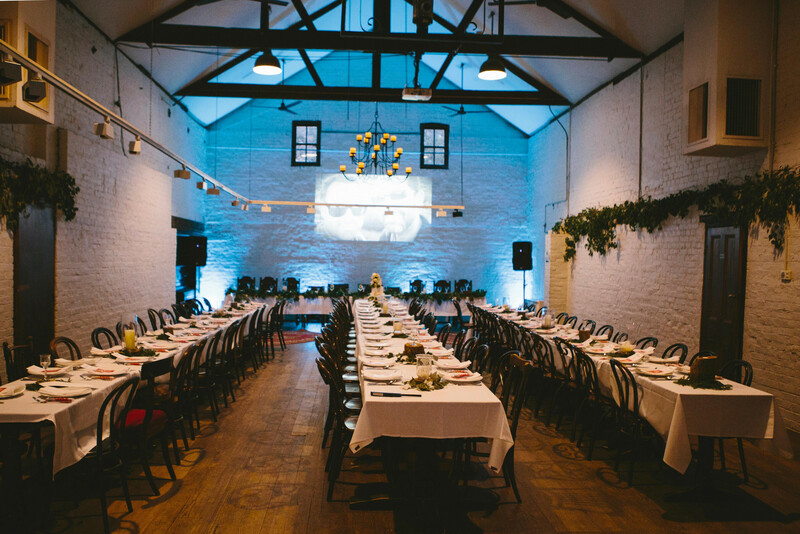 Their plans for a relaxed, casual festival-style celebration were brought to life by JL Productions principal Jamie Lea and her team, who took an open, empty space inside The Old Flour Mill in Euroa and transformed it with greenery, lighting and decorations to reflect the couple’s individuality and shared love of music and the outdoors. “We met with Jamie Lea a few times but then pretty much stepped back and allowed her to do her thing. 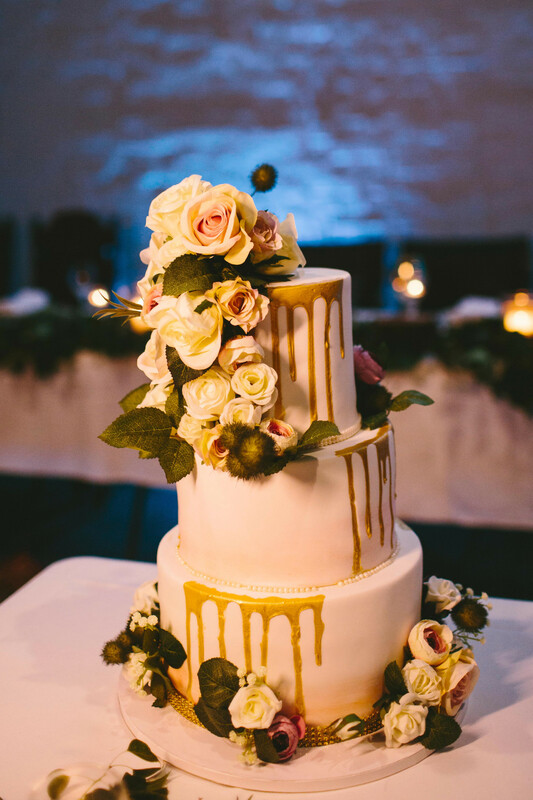 We wanted the element of being surprised and seeing everything for the first time when our guests did,” Cristopher said. 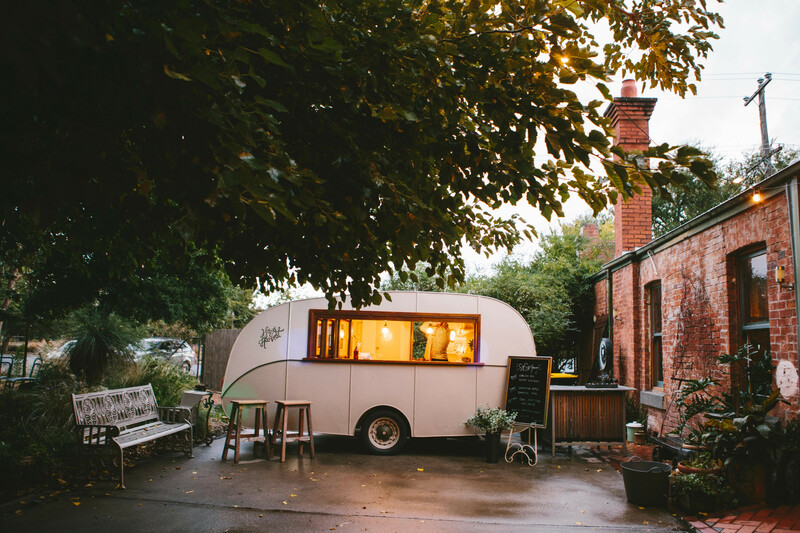 The Hops & Harvest caravan bar added a vintage vibe to the celebrations and encouraged guests to move between the rustic indoor space and outdoor courtyard area. 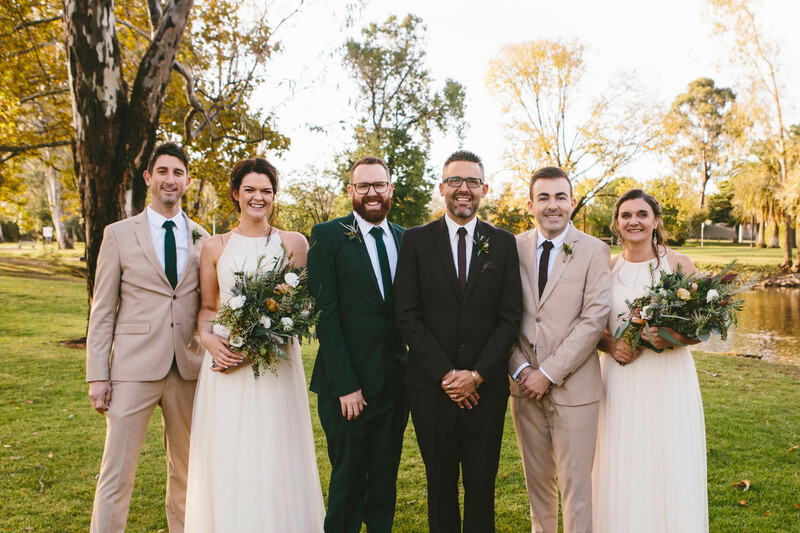 Reversing tradition the couple wore bold coloured suits – Damien’s was dark burgundy and Cristopher’s forest green – while their bridesmaids and groomsmen dressed in earthy tones of ivory and putty. “We love nature, so the earthy colours represented the ground and our solid foundation; Damien’s suit was dark like the trunks and branches of a tree and my green suit were the leaves,” Cristopher said. 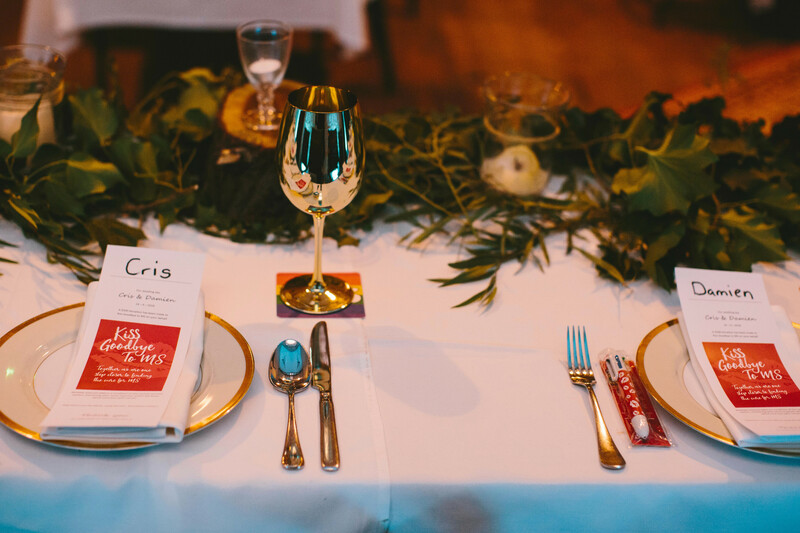 As new and proud first-time parents, they juggled the official part of the day, and the festivities, with caring for Fletcher – and made time to share with their guests their journey to become a family. A poignant PowerPoint presentation, played at the reception and accompanied by a pared-back acoustic version of The Veronica’s In My Blood, showed images of Cristopher and Damien throughout their relationship, and as a new family. “The early photos were in black and white and at the time of Fletcher’s birth they changed to colour, to reflect that our lives were black and white until she was born, and she is the colour that has come into our lives,” Cristopher said.